Happy Monday! 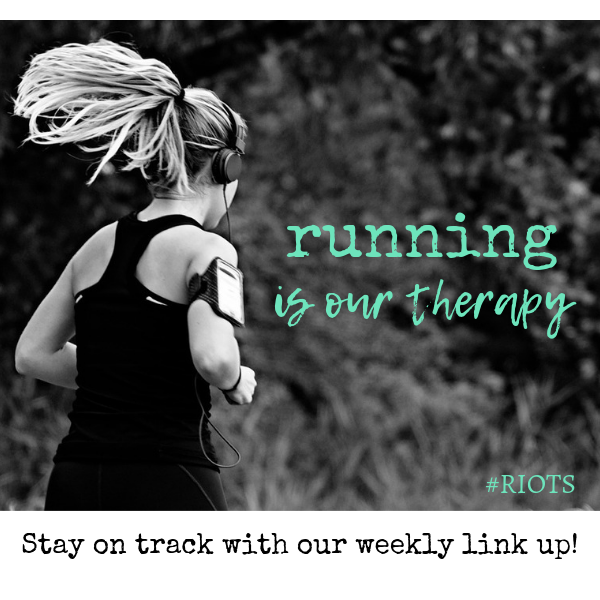 I hope you’ll join us for the #RIOTS (Running Is Our Therapy Sisters) link up every week on Mondays. We’d love to be a part of your weekly routine! Set some goals, share them on your blog and then link up with other awesome fitness bloggers to help keep you on track! We’d all love to support you! Today is the Final Season of Game of Thrones. I am a devoted fan. I have read the books (and am devastated that the written series hasn’t been completed) and am current with the show. It’s honestly the only television show I watch and I have no idea what I will do when it ends. On Sunday morning, we spent some quiet time chilling out. Hufflepuff got a bath and we cleaned out her habitat. Exciting times. It was nice just having a home day. Monday came around and we started it off with a run. Yay! I had a bunch of work to catch up on, and in the evening, a bunch of us went to the PTA President’s house for dinner and to stuff baskets for our upcoming basket raffle. It was a fun night and we accomplished a lot. I didn’t have much to do, other than a PTO meeting at little man’s new middle school. I was invited to check it out, in the event that I want to continue volunteering. 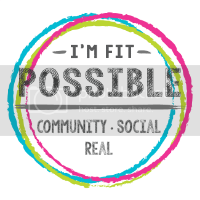 That evening, I attended a preview event at the new Odd Birds Loft venue in St. Augustine, with one of the co-owners of the St. Augustine Moms Blog. It was a lovely evening with craft cocktails, Latin-inspired hors d’oeuvres. and live music. I can’t wait to check it out as a date night. Even though I was out a little later than normal, I was up and at ’em for a run. I had to turn down yoga because I had been out almost every night that week, but it was ok to take a little break. I spent most of the day Thursday prepping for Scouts. I had two more kids to get through rank advancement and I hoped to use the den meeting to make it happen. We watched the SpaceX rocket launch and then got down to work. It felt great to know that my entire den has achieved rank and 10 of the 11 Scouts are choosing to cross over to a Troop. First things first: a nice run. Then I had to proctor a test at school, grab lunch with a friend, and head right back to the school to help set up for the evening. The school was hosting a student art show, music performance by the Music Makers, a lip sync battle by the teachers, and the basket raffle. It was an incredible night with tons of community support and it was a very successful fundraiser. It’s going to be hard to leave this team. Oh, and we won a really cool private farm tour and a month of unlimited classes at 9Round! We are going to take a free class first and then determine if one or both of us is going to invest in a membership. It was nice being able to sleep in a bit. The boys headed off to a special basketball practice since little man had a bye week, and I met K and B for the Hopping Through The Store event at Declaration Co in downtown St. Augustine. I have never been, and it was the cutest little shop with plenty of great gifts, piece of clothing and decor. There was prosecco and an adult Easter egg hunt (I scored two pair of adorable earrings!) and it was a great morning. Later that day, some friends came over for pizza, and it was nice to just hang at home and have a casual dinner. And so it was a solid week, again. Plenty of running, no real cross training. I was ok on hydration, and did well with reading. We did try a new recipe, but it wasn’t a winner. Usually, the Publix Aprons meals are a quick and easy sure thing, but not so this one. The pork itself was good, but the rest just didn’t come together quite right, for me. The boys even admitted it tasted better in the sample at the store. Live and learn. 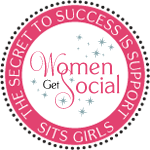 Please join our linkup! Drop your link and please visit our Hosts and some of these other amazing blogs to share the love! 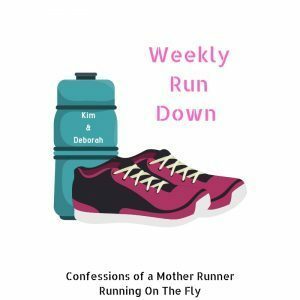 I am also linking up with the new Weekly Rundown, with Confessions of A Mother Runner and Running on the Fly! Check them out! Will you be watching Game of Thrones Season 8? I feel like I am the only person who never watched a single episode of game of thrones! You got in some great mileage this week. I love kickboxing hope you enjoy it too. It’s great cross training. Thanks for linking up! Obviously, you’re not the only one! I really don’t like a lot of TV so this is my one vice. I will admit that I’ve never watched Game of Thrones. That pork dinner looks yummy. The dinner wasn’t yummy at all 🙁 I was disappointed LOL! I have not watched Game of Thrones, either LOL And I thought I was all alone on my own island. I don’t watch much tv, though. Now that NCAA basketball is done, it’ll be hit/miss until football season. Congrats on a successful fundraiser for your school!! I remember those days of PTO duties. Thanks for linking with us! So…I am ashamed to admit it – I have never watched Game of Thrones. I must be one of the only 2 people in North America who are clueless about this show. You got some nice miles in this week, despite only running 3 days. You are a busy woman, so nice that you are involved in your kids’ PTO (I was a teacher for 30+ years). Don’t be ashamed! Apparently, I am the only one amongst my blog people who does! I am absolutely not cut out to be a teacher, but I love giving some time to help out and support those who are cut out for it. It’s the least I can do. My husb watches GOT but I couldn’t take the brutal violence. I probably would like the books. Very cool on winning the Round9 package–sounds like fun. The books are among the best I’ve ever read. Not any less brutally violent, but so well written. I don’t generally love gratuitous violence (or gratuitous anything), but I am fascinated by the plot and the characters. I’m excited to try out 9Round. It’s really close to the house. Sounds like a fun well-rounded week between fitness and personal/fun events! That cocktail from the Odd Bird event looks delicious! I couldn’t even tell you what was in that cocktail (besides vodka). It was divine. what a great week! so balanced with running, fun, school stuff, and rest. I usually end of sort of all or nothing – you know, too much activity, not enough rest, socializing or the opposite. you did really well! I have to admit I’ve never seen GoT. I don’t know if I’ll start either… Right now I have time to watch stuff but when I’m active again it will get tricky. I’m still watching Grace and Frankie and Ron and I started watching Queen of the South. So I really don’t know if I can add to my current queue. Bummer this week’s recipe didn’t pan out well. GOT is a commitment. I can’t even binge watch it – it’s just too emotionally taxing. I literally wait for my one episode a week, watch it and proceeds it before I see the next one. This week’s dinner was gross. Not inedible but it was kind of like the test kitchen tossed a bunch of odds and ends into the recipe and said “screw it.” Almond butter + salsa verde is not a thing that needs to happen ever. We got 8 inches of snow today and everyone kept saying “Winter is Here”. Of course, not having watched GOT, I had no clue what they were referring to. I do now!! That’s the funniest! It’s really hard to say “Winter is here” when it’s 85 degrees outside. The sentiment is the same! 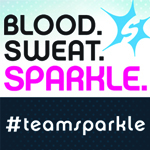 Nice work getting your miles in with so many other events happening too! Also, Hufflepuff is just the cutest. Isn’t she? We are making great progress with her. As usual, you have a variety of fun activities planned for your week …and you still manage get in your running. I’ve never seen Game of Thrones – it’s amazing how many people are big fans of the show! You had some nice mileage this week! 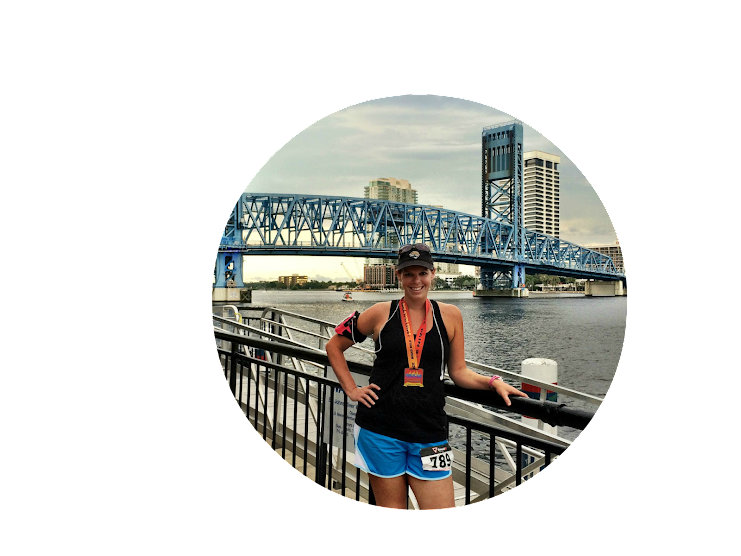 What’s your next race? It’s amazing that none of my blog friends watch it! The next race I am officially registered for is a Memorial Day 5K. I need to slide in something sooner. I have to admit that I haven’t seen one episode of Game of Thrones. It’s crazy because literally all my family and friends watch it! Great job with your mileage this week! I had a super low mileage week but hoping to get back at it this week. That’s so funny! It took a long time for Mr PR to get into it. He would sit in the same room but just not watch. I’ve converted him but he still doesn’t love it like I do. I have also never seen Game of Thrones. A few scenes in passing, but I never know what is going on. I am not a huge TV watcher, and I am not a fan of stuff with lots of R rated types of action. Great job on the running this week! Those baskets look fantastic! Sounds like y’all won some cool stuff! I have heard good things about Round 9! Esther recently posted…Spring Cleaning Part 3: What you say! This is out definitely full of R rated stuff, so I can see how it’s not for everyone. We always clean up on our basket raffles. I love it!